Hello Monday! We had a fun weekend over here, taking full advantage of the extended Summer weather. Thanks for all the sweet comments on Friday as we celebrated our one year blogaversary. If you missed Friday's post, be sure to circle back and check it out. We celebrated our one year blogging anniversary with a fun giveaway. It's the first full week of fall, so I was feeling some cozier dinners this week (despite the fact that it will be near 90 degrees today!). But still a burger on Friday, because I am just not done with burgers yet! 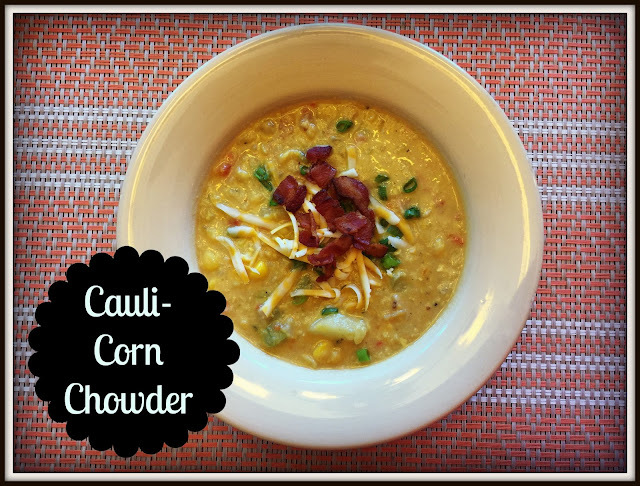 The recipe for this Cauli-Corn Chowder came in our new seasonal grocery magazine and it looked so good. You can grab the recipe here. I made a few tweaks to it. Before I did any of the steps, sauteed a few strips of bacon (chopped into bite sized pieces) until they were nice and crispy. I set them to the side to use as a topping and started the recipe in the same pan....with all the bacon drippings. So good. I am not sure when Taco Tuesday became a "thing"....but it's pretty much a staple in our house. Not always tacos, but some sort of Mexican-inspired dish. 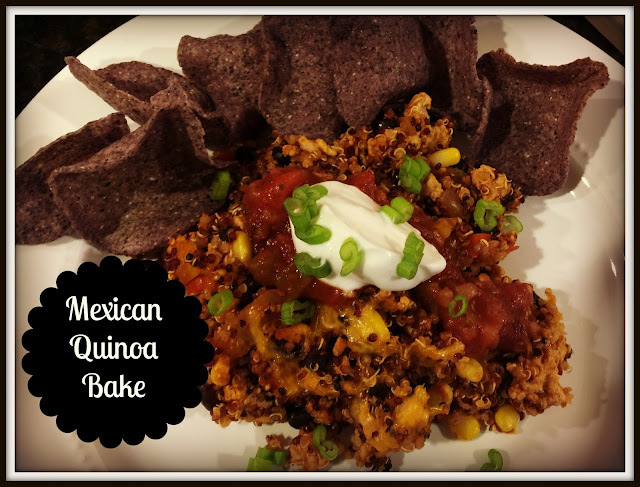 Tonight it's our Mexican Quinoa Bake. It's pretty simple to put together, filling and leftovers make a great lunch. A few months ago, I tried this Hummus Crusted Chicken. 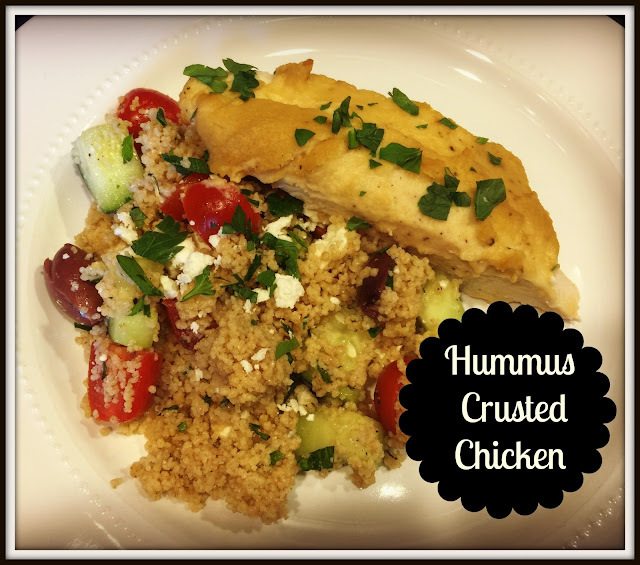 It has minimal prep time & you can mix up your hummus flavor to change it up. I put about a pound of chicken breasts in a 13*9 glass dish, sprinkle with salt & pepper and cover in about 3/4 cup of hummus. I used garlic hummus, but you can use any flavor you want. Bake at 450 for about 25-30 minutes, until the chicken is cooked through. We paired with with some Mediterranean couscous. Toss cooked couscous with some chopped cucumbers, tomatoes, kalamata olives, parsley, and feta. Drizzle with a little EVOO, the juice of half a lemon and season with salt & pepper. It's such a fresh dish! 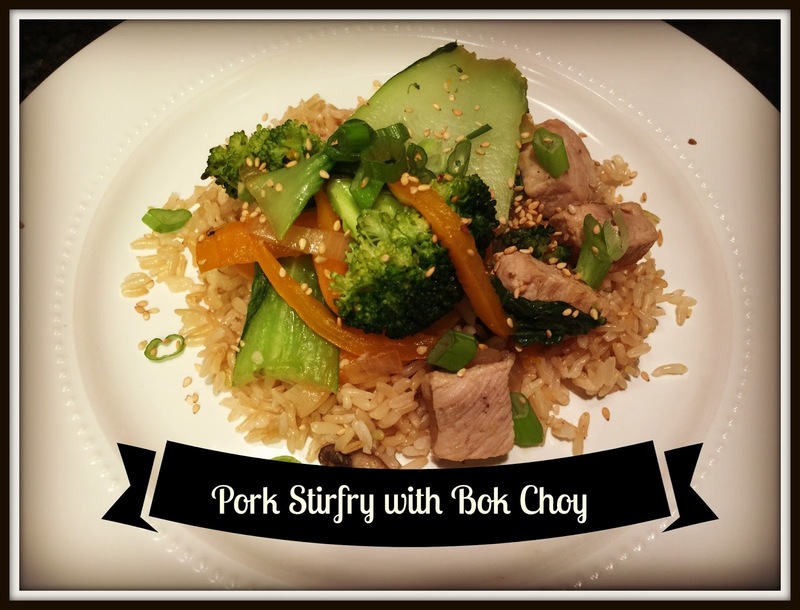 Pork Stirfry with Bok Choy is a hit every time I make it! You can use nearly any veggies you have on hand...... the more the merrier! Saute your protein, add your veggies and put it on top of some brown rice! Make it even easier and have your meat & veggies chopped and ready to go. For this stirfry I heat up a couple tablespoons of EVOO in my wok over medium- high heat. Once the pan is hot, add the bite size pork, and season with salt & pepper. Cook for 5-6 minutes, until the meat is browned, tossing frequently. Remove the meat to a plate and saute your veggies. I add about 4-5 cups of veggies. Reduce the heat to medium, cover and let the veggies steam for about 5 minutes until just softened. In this batch, I used broccoli, bell peppers, mushrooms, bok choy and onions. You can also use cauliflower, snap peas, water chestnuts, spinach, asparagus, carrots.... anything you want to use up! Add your pork back in and I like to keep the sauce clean... a few shakes of liquid aminos and the juice of half an orange. Plate some brown rice and top it with your stirfry mix! As I said, I am not ready to give up burgers yet. We have a few more weeks of grilling weather and need to take full advantage. I tried these burgers from Mix & Match Mama and ohmygoodness they may be the best burgers we ever had! My kiddos love them (sans the gorgonzola) and I did mine bunless on top of a pile of arugala. The flavors were just so good together. You can grab the recipe here. See you tomorrow.....there's always room for one more at our family table. Girl Chat.... Fav Fall Recipes! Show & Tell Tuesday.....What's in your Bag??? ?